The Seattle community was stunned with a series of fatal motorcycle accidents in a matter of just a few days in downtown Seattle between Wednesday evening and Saturday morning. The first accident occurred Wednesday at approximately 9:30 p.m., when a man identified as 30-year-old Nathaniel Hammer was driving his motorcycle northbound on the Alaskan Way Viaduct. Police believe that Hammer lost control of his motorcycle, struck the eastern guardrail and was ejected from the motorcycle before landing below the viaduct on First Avenue. “Speed may have been a factor in this collision,” said Detective Mark Jamieson of the Seattle Police Department (SPD). Hammer was reportedly pronounced dead at the scene of the accident and police say that their investigation into what caused the fatal collision is ongoing. Then on Thursday at about 2:50 p.m. a man who was driving his 500cc Aprilla motor scooter northbound on the Alaskan Way Viaduct crashed into the guardrail near Seneca Street and was thrown from the motor scooter. He was also pronounced dead at the scene of the accident after falling over the side of the viaduct and landing on Railroad Avenue below. The accident caused officials to shut down the northbound lanes of Highway 99 until approximately 7 p.m., which resulted in a multiple hour-long backup of traffic. The third fatal motorcycle accident in the past week in King County occurred in Federal Way Saturday morning, when a 42-year-old man from Bothell is believed to have lost control of his motorcycle while he was driving on Interstate 5. Officials with the Washington State Patrol (WSP) say that 42-year-old William Bissell was headed northbound on I-5 near South 320th Street just before 5 a.m. Saturday. Investigators believe Bissell lost control of the motorcycle and crashed, but there were no additional details regarding what may have caused him to lose control. 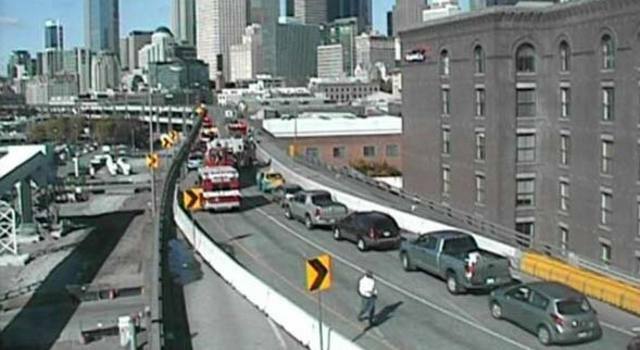 The two fatal motorcycle accidents that occurred on the Alaskan Way Viaduct could at least partially be due to major reconstruction of that area that has been ongoing for some time now. However, the fact that the entire greater Seattle area has been hit with substantial amounts of rain as of late is also a likely contributor to this sudden surge of fatal accidents.